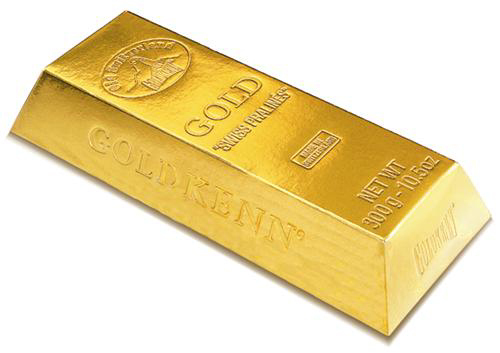 NEW YORK/LONDON, March 13 (Reuters) - Gold rose to a six-month high on Thursday as fears of economic slowdown in China and lingering worries about Russia's standoff with Ukraine over Crimea dampened demand for riskier assets and boosted bullion's appeal. U.S. equities and copper pries tumbled after data showed China's economy slowed markedly in the first two months of the year. Worries over China's first bond default and weak export data earlier in the week have also stoked concerns about the health of the world's second-largest economy. Gold was also underpinned after Russia launched military exercises near its border with Ukraine, showing no sign of backing down in its plans to annex its neighbor's Crimea region. "Amid concerns about the Chinese economy and the geopolitical tensions between Russia and Ukraine, gold is clearly still in demand as a safe haven," said Eugen Weinberg, head of commodity research at Commerzbank. Spot gold was up 0.4 percent at $1,371.74 an ounce by 2:39 p.m. EDT (1839 GMT). U.S. COMEX gold futures for April delivery settled up $1.90 an ounce at $1,372.40 an ounce. Trading volume was strong for a second day at more than 200,000 lots, or about 30 percent above its 30-day average, preliminary Reuters data showed. Earlier in the session, gold prices fell after better-than-expected U.S. retail sales data supported expectations that the Federal Reserve will continue tapering its bullion-friendly monetary stimulus program. "The tapering story hasn't gone away; it has just faded into the background," Jonathan Butler, an analyst at Mitsubishi, said. Last year, speculation that the Fed's stimulus was ending helped knock gold 28 percent lower. Investment funds also saw some profit taking, with the world's largest gold-backed exchange-traded fund, the SPDR Gold Shares, reporting its first outflow since Feb. 19 on Wednesday. Among other precious metals, silver was down 0.4 percent at $21.15 an ounce, while platinum climbed 0.5 percent to $1,473.24 an ounce and palladium gained 0.5 percent to $773.47 an ounce. Platinum group metals were supported by a strike in the South African platinum sector by workers at Anglo American Platinum, Impala Platinum and Lonmin, which entered a seventh week on Thursday. The strike is estimated to be costing some 10,000 ounces per day in lost output.